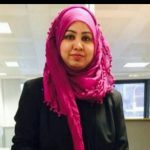 Parveen Khan is a Senior Test Engineer at Progressive Content, who has worked on various number of websites and Apps and a Product. She is very passionate about testing and always tries to learn something new to improve her skills and spread knowledge in the form of stories. She feels overwhelmed and satisfied when real users uses the applications tested by her with an ease and without facing many issues. Parveen has also been solo QA in a start up, started QA process from scratch and worked on getting the value and recognition for testing where testing was never treated as integral part of development process. Parveen is looking forward for her next set of journey in the world of CI/CD pipeline , Automation, and Testing on Microservices Architecture. Apart from work, Parveen is a Super Mom of 2 lovely kids.